I am Jeff Billingsley and I am humbled and excited to share my two passions in life with you. Allow me to share my first passion, Leadership Coaching. I have over 15 year of experience as a Human Resource Professional leading Training, HR and Leadership Development for 2 fortune 100 companies and 1 high profile privately held company across the northeast. Specializing in Building Strategic Business Partner Relationships along with cross functional HR deliverables including Candidate Sourcing, On Boarding, Instructional Design, Union Awareness and Labor Relations, Employee Relations and Organizational Development (OD). 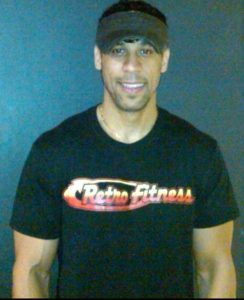 My second passion is health and wellness and with close to 9 years of experience as a Certified Personal Trainer through W.I.T.S. I have lead fitness organizations for several high profile fitness centers across the North East. 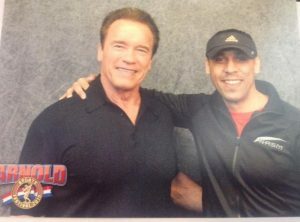 Through this, I have been privileged to serve individuals to meet their fitness goals as well. I have been able to accomplish this as a Director of Personal Training, a Director of Operations for America’s Next Great Trainer, through being a published author, “Transforming America’, being filmed for various fitness video’s and fitness apps along with hosting various health and wellness radio shows and Co Hosting The New York Post and Good Morning America “Dad Bod Challenge” along with hosting Certified Trainer Challenges at the Arnold Sports Event in Columbus Ohio. I am Servant leader through being a committed National Lobbyist for NRA ( National Restaurant Association and Political Action Committee Member) To serve individuals to achieve their goals. I have also been able to achieve being a servant leader by being a volunteer for St Anthony’s of Padua Church and co facilitating the 7 week “Discovering Christ Series” and being a volunteer for the last 4 years at The New York City Rescue Mission for individuals who suffer from various addictions.